Have you thought about biking as a commute option for your trip to Boston from Melrose but weren’t sure of a good route? 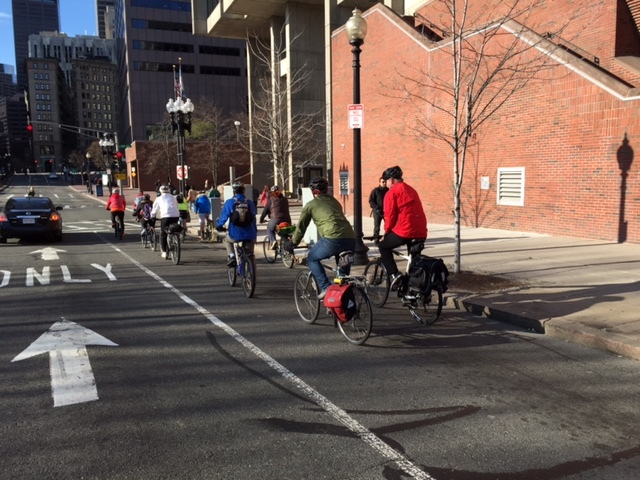 The Melrose Pedestrian and Bicycle Advisory Committee has lead monthly bicycle convoys from Melrose to downtown Boston on Friday mornings from April through August. The final trip will be August 28. The Melrose convoy is one of several that converge on Boston, where we are met with a mini-festival with plenty of free give-aways. 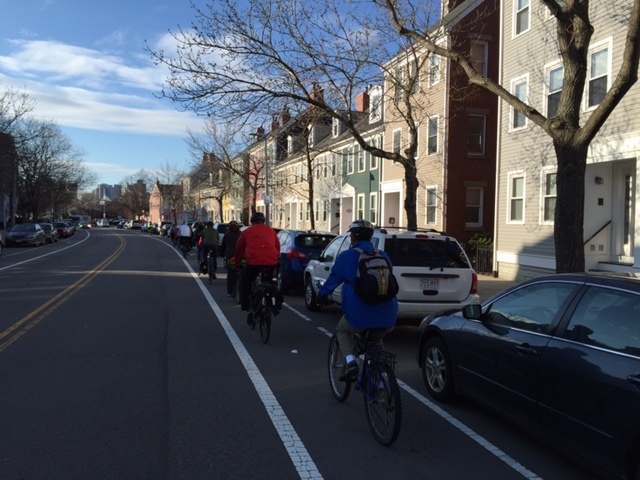 2013 was the first year that the Boston Bike Friday events included a convoy from a community north of the city, and the Melrose Ped/Bike committee is thrilled to build on that success by coordinating it again. Meet at the Melrose YMCA at Main and Foster Streets at 6:50 am. The group leaves at 7:00am and arrives at City Hall Plaza in Boston just before 8:00am. You can find the route on the Melrose Ped & Bike website at melrosepedbike.org.